It happens every year, sometimes several times, but the timing is always different. It lurks on the calendar like any other day, but people everywhere look upon its approach with apprehension and fear. Friday the 13th is a day of superstition, nerves, and even the most seemingly level-headed of people going to great extents to protect themselves from whatever bad luck and mayhem may be awaiting them when they step outside their homes. Perhaps there is a reason behind the worry, an instinctual caution that comes from generations of horrors and misfortunes that have occurred on that very date. Consider these unlucky events, and decide for yourself where you will be when the sun rises on June 13. 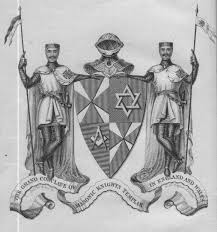 -October 13, 1307 was the day the Knights of the Templar were raided, arrested, and imprisoned by officers of King Philip IV of France. More than 100 were martyred and countless others tortured. – August 13, 1521 saw Conquistador Hernán Cortés, the man revered and feared as a vengeful god by the Aztecs, claim Tenochtitlán for himself. 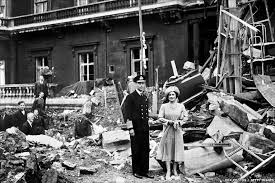 -September 13, 1940 marked the day when the Germans took their WWII bombings to a new level when they hit their mark at Buckingham Palace. -Each Friday the 13th, the airlines are expected to lose an estimated $900 million due to travelers refusing to take their feet off the ground and rampantly cancelling or avoiding flights. But… here at HauntedHouseRatings.com.. we welcome Friday the 13th and say “It’s scare the crap out of someone day!” Have fun!